As in many houses on many evenings in the month of May across America, a row home in Northeast Philadelphia was hosting a party for a young man who had just been graduated from college. 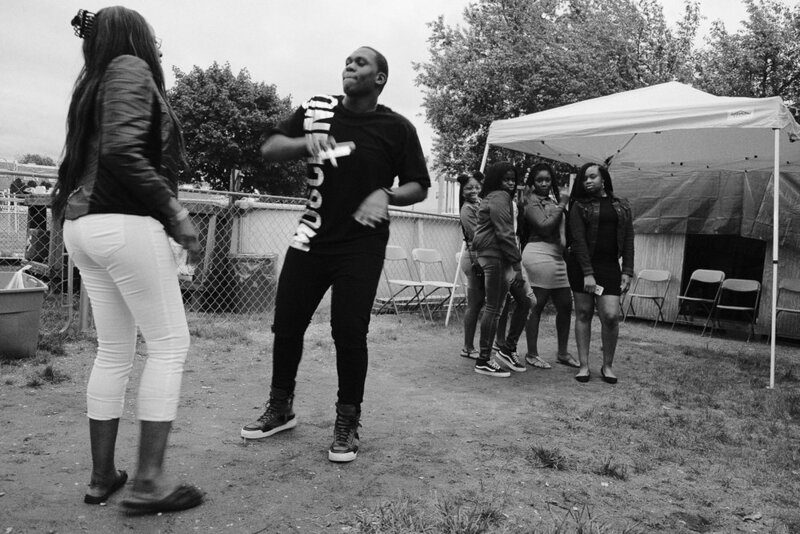 There was loud, happy music, there were teenagers dancing, and the party was attended by not only family, but by members of the community. More than 50 people filled the small home, spilling out into the yard. To be sure, the celebration was for the young man and his accomplishment. But this was a gathering of Liberians.Liberians pride themselves as hosts, and this party delivered. There was plentiful food, drink, and merriment. But in a traditional format. As the party progressed, a pattern emerged: children played outside or downstairs; women mostly retreated to the kitchen, and the men gathered in the living room to talk politics. While the teenagers danced, the conversation in the living room turned from the 2017 election in Liberia to confronting the issues of the past. Interpretations of historical events became positions, and positions became entrenched. More than 20 years of civil war provides unlimited fodder for discussions, which at times became animated, if not heated. But this is a slice of life for Liberians in America, and the priorities are clear: family, community and happiness. Whatever the political disagreements may be, they all take a backseat to the progress of the next generation. Just as quickly as the arguments flared up they die down again. The music wins out, and the celebration of the future takes center stage.